SAP Business Objects offers a broad portfolio of tools and applications designed to help you optimize business performance by connecting people, information and businesses across business networks.SAP BUSINESS OBJECTS is an integrated query, reporting and analysis solution for business professionals that allow you to access the data in your corporate databases directly from your desktop and present and evaluate this information in a SAP BUSINESS OBJECTS document. 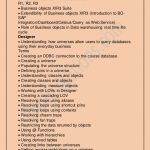 SAP BUSINESS OBJECTS makes it trouble-free to access this SAP BUSINESS OBJECTS makes it trouble-free to access this data, because you work with it in business terms that are known to you, not technical database terms like SQL. You don’t need any knowledge of the database structure or technology. SAP Business Objects also offers consulting and education services to help customers deploy its business intelligence projects. 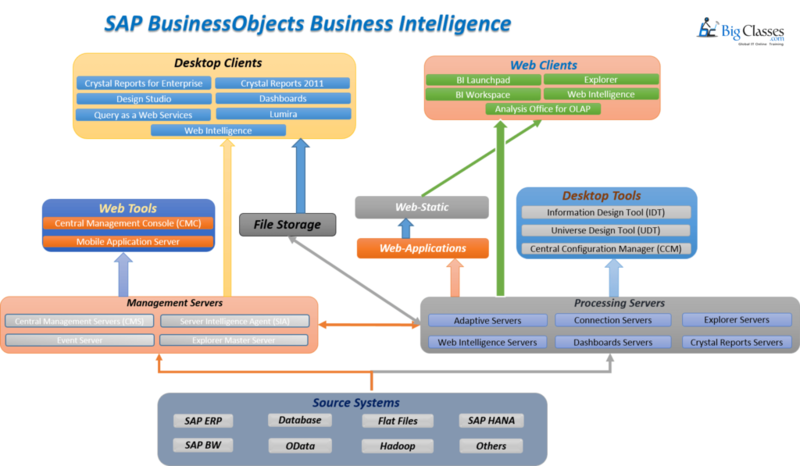 Why SAP Business Objects ? SAP BO is the world’s leading business intelligence software company. SAP Business Objects is an independent worldwide Business Intelligence vendor and is recognized as a market leader by analyst organizations. SAP Business Objects has over 2,000 development and customer support employees worldwide. SAP BO has many years of experience in helping organizations around the world to implement BI standards, with over 31,000 customers and 16 million licenses deployed in over 80 countries. Business intelligence enables organizations to track, understand, and manage enterprise performance. The company’s solutions leverage the information that is stored in an array of corporate databases, enterprise resource planning (ERP), and customer relationship management (CRM) systems. Popular uses of BI include enterprise reporting, management dashboards and scorecards, customer intelligence applications, ﬁnancial reporting, and both customer and partner extranets. These solutions enable companies to gain visibility into their business, acquire and retain proﬁtable customers, reduce costs, optimize the supply chain, increase productivity, and improve ﬁnancial performance. SAP Business Objects trainers are highly skilled with much expertise in classroom training and online training. Trainers seldom use the same data that the students will use when they start creating reports. Trainers can use the corporation’s data because they have worked in so many different businesses that they are familiar with most data models. During the class, trainers often create reports that the students are interested in creating, and thus they get a jump-start on their reporting tasks even before they leave the classroom.